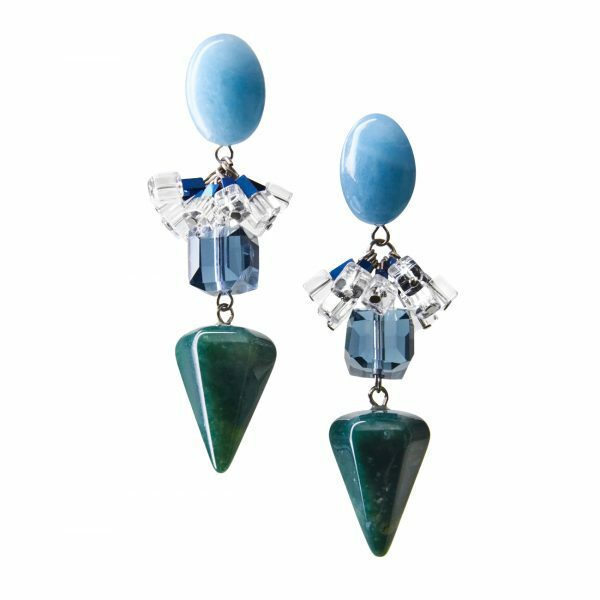 Elegant, statement “Gigi”earrings are a signature of GOLOVINA Accessories. 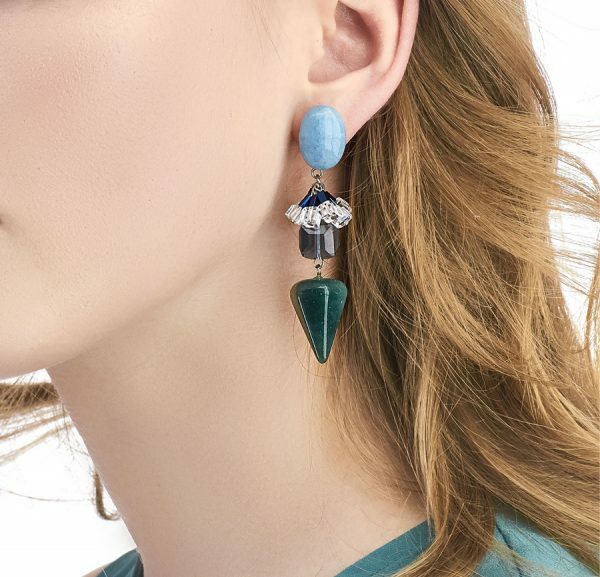 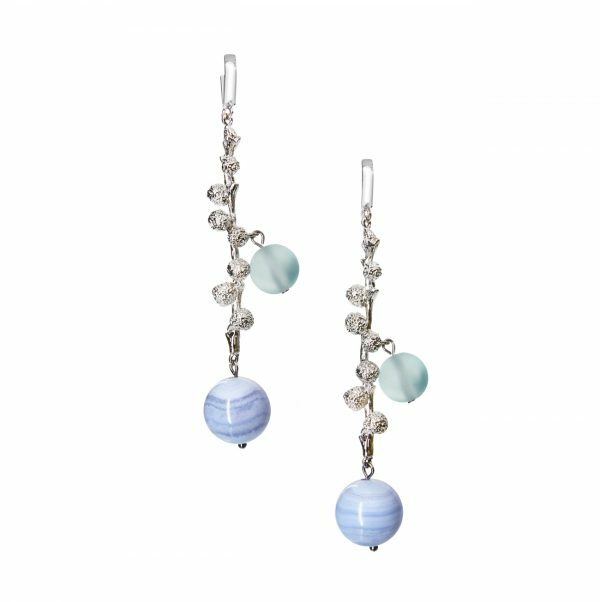 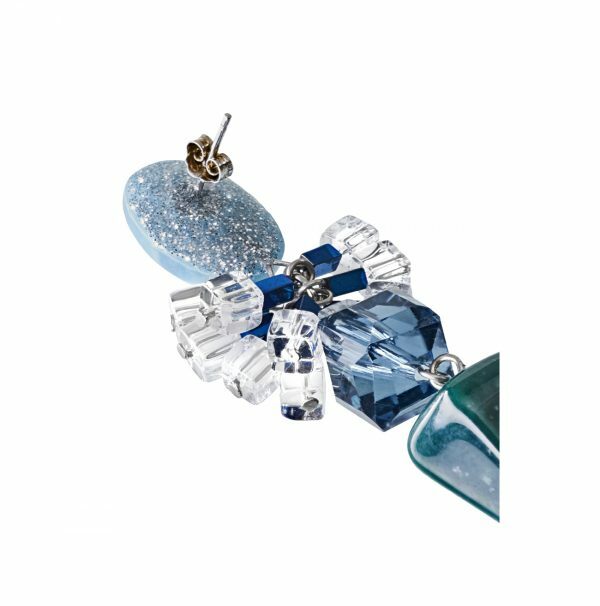 Made from rhodium-plated silver (fastening) and stainless steel, these earrings are embellished with aquamarine stones, crystal and jasper. 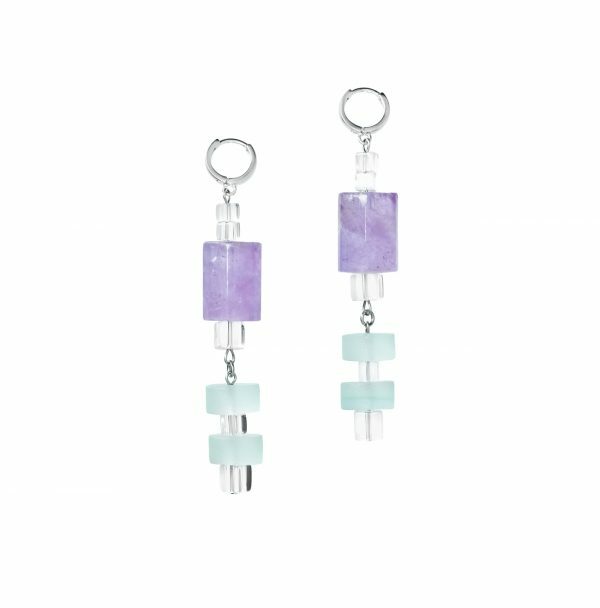 They are cleverly hinged to gently sway and catch the light. 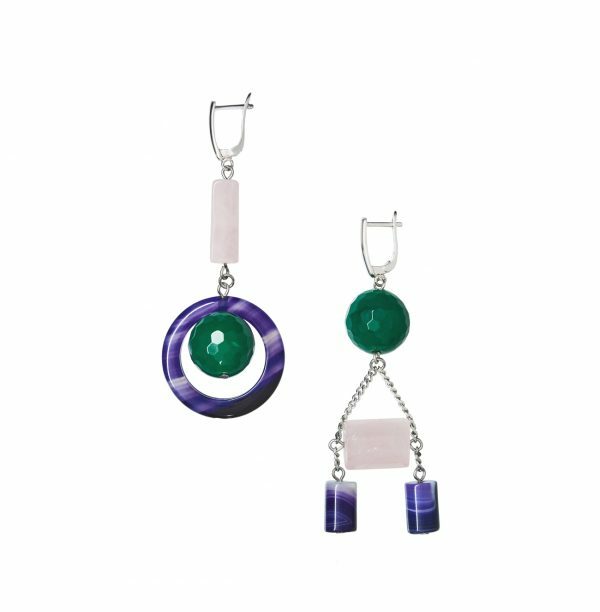 We say style them as part of a modern event look.